Today I found out that the soft drink 7 UP used to include a psychiatric medication as one of its ingredients. 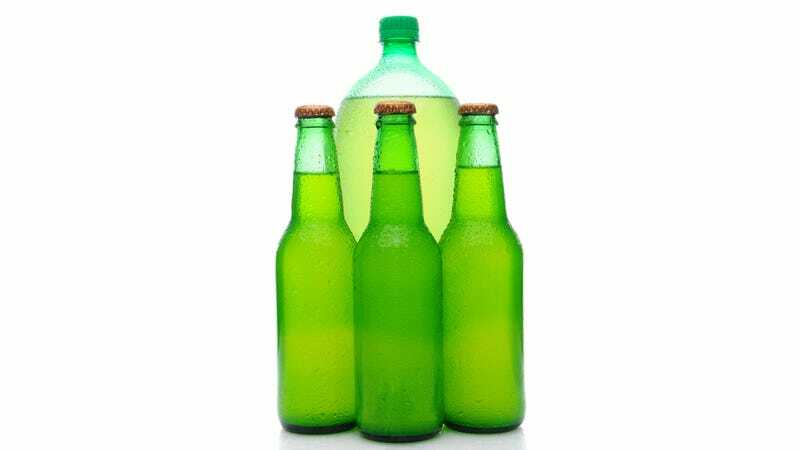 The lemon-lime flavored soda, 7 UP was created by Charles Grigg of the Howdy Corporation in 1929 and first launched two weeks before the stock market crash that spurred the Great Depression… Timing! It was originally named “Bib-Label Lithiated Lemon-Lime Soda”, and included lithium citrate in its formula. Lithium citrate is a mood-stabilizing drug that was popular in the late 19th and early 20th centuries, and is still used sometimes today for people with bipolar disorder, among others. Many of the first sodas to be produced included drugs or metals and were often touted as health drinks. For instance, Coca Cola originally included coca leaves (hence contained a small amount of cocaine) in its formula and was intended to be a coca-wine cure-all, specifically targeted at curing impotence, dyspepsia, neurasthenia, headaches, nausea, and morphine addiction, the latter of which was a problem the inventor of Coca Cola, Dr. John Pemberton, suffered from. Similar to Coca Cola, 7 UP was originally named after the primary medicinal ingredient it included, lithium citrate- “Bib-Label Lithiated Lemon-Lime Soda”. Obviously such a lengthy name wasn’t ideal on the consumer side of things, so the beverage’s name was quickly shortened to “7 UP Lithiated Lemon Soda”, then chopped to just “7 UP” in 1936. It’s not clear where the name “7 Up” originally came from, as Grigg never publicly said, except once joking that he invented it to cure the “7 types of hangovers” humans experience. In 1942, a slightly less tongue and cheek origin of the name was given by a former president of the company in a speech, where he stated Grigg was reading a newspaper and saw an article about the history of cow brands, with one of the brands discussed being a 7 with a “u” slightly to the right and above the 7. He liked the look of it, so finagled an appropriate name out of a 7 and a “u”. Whatever the case, as for the lithium citrate, surprisingly, it stuck around in the drink all the way until 1950, when new research showed it had potentially dangerous side effects. Does Mountain Dew Really Lower Sperm Counts? For your viewing pleasure, here’s a 1950 7-Up propaganda video where, among other things, they suggest mixing 7 Up with milk 50/50 to give to children and that 7 Up is “good for you." Staci Lehman writes for the wildly popular interesting fact website TodayIFoundOut.com. To subscribe to Today I Found Out's “Daily Knowledge” newsletter, click here or like them on Facebook here.